The best espresso tampers are to baristas like what sneakers are to sneaker-heads. They're addictive to collect, look boss, and vary dramatically in price. But tampers also serve a very practical purpose. Anyone that knows a thing or two about making espresso knows a good tamper is important as it allows you to exert consistent pressure during the tamping motion, which is crucial for achieving a level tamp. This lets you to replicate your results and eliminate a core variable in the coffee making process. You can see me using my tamper to get a nice, level tamp. In this guide we're getting into the nitty-gritty of what to look out for when when getting your first espresso tamper and answering all those minute barista debates. 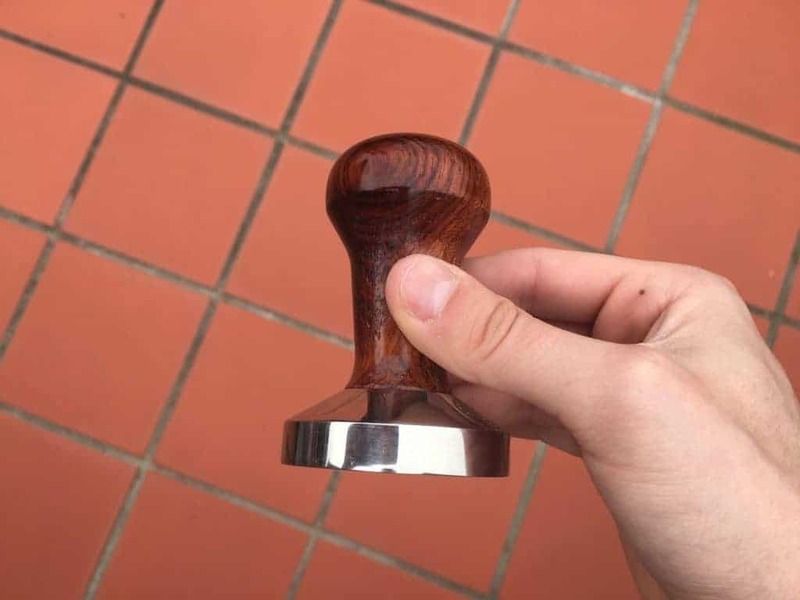 But for those who want a quick recommendation below you'll find my list of the best coffee tamper picks to up your barista game and pimp out your work station. Read on to learn everything you need to know when buying a coffee tamper and how to make sure it's the right fit for your espresso machine. How To Pick The Best Coffee Tamper? ​​The base diameter must match your portafilter - e.g. 58mm, 51mm tamper. It should have a good weight - I like tampers over 200g. The base must be food grade stainless steel. The handle should be ergonomic and sturdy to hold. Other than that the rest mostly comes down to personal preference. 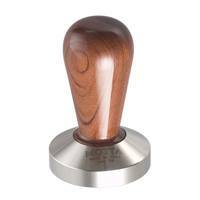 Some people like wooden handles, others like all stainless steel, and some are advocates of calibrated tampers. However try to avoid anything aluminium as they're too light and tend to rust over time, and be on the look out on stainless steel coated materials as they'll start chipped away a couple weeks into use. Do I even have to mention plastic tampers? Just say no. 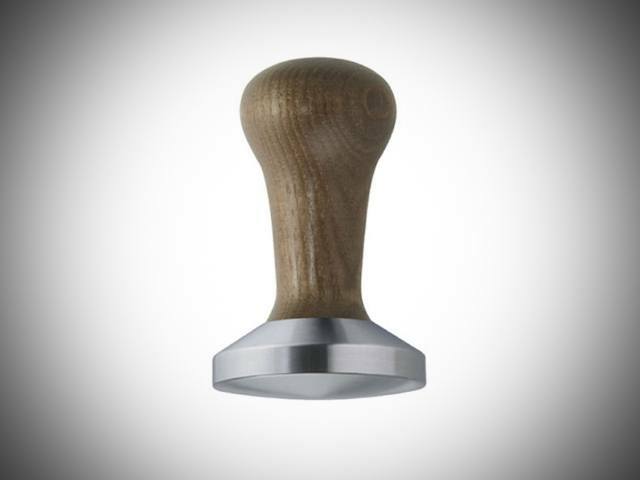 To avoid poorly built tampers you should try to get a tamper that costs above the $30 mark. At this price point you'll get a stainless steel base with a basic but sturdy handle. I recommend the Motta flat tamper as a good beginner tamp for a reasonable price. It comes in 58mm and 51mm sizes. But as with all matters relating to coffee discussions about espresso tampers can get really technical and debated to the end of the earth. Next up I'm going to be answering some key questions and debates about the best espresso tampers out there. If you read my article on the top coffee grinders you would have discovered baristas get into all sorts of debates about what type of grinder is best. Well let me introduce you to another fierce debate in the coffee making community - flat vs convex tamper bases. Coffee geeks are a fickle bunch. My flat tamper I use at home with rosewood handle. As the name suggests flat tamper based are flat. This means that the entire base of the tamper is flush and in full contact with the coffee in your portafilter. Convexed tampers on the other hand have a slight rise starting from the centre of the base moving towards the circumference. It all comes down to which style of base does a better job at producing a consistent tamp that prevents "channelling." Barista Tip: What Is "Channeling"
Channelling is when water rushes through the sides of the portafilter or cracks the espresso puck during the extraction process. This completely ruins your shot. A consistent tamp allows for even distribution of the water during the espresso extraction process which in turn eliminates any risk of channelling. Advoates of convex tampers say they better prevent channeling as the slight incline on convex tampers pushes coffee towards the edges of the portafilter, which prevents water from channelling along the sides as coffee blocks its path. Convex tamper bases have a slight incline starting at the center. Flat tamper lovers say that as long as you have good technique a convex tamper doesn't matter, further a flat tamper produces a slightly more flush tamp that may arguably result in a more even extraction. As you can see these are very minute differences. Personally I like using flat tampers over convex. This is simply due to personal preference as I like the feel of them when tamping - although I may be in the minority. But you can get just as good results with convex tampers. Flat vs Convex Tampers. Which Do You Prefer? I remember when I bought my first proper tamper for my espresso machine. As soon as I picked it up and felt some real weight in my hand I thought, "how on earth was I using my stock tamper for so long!" Weight makes all the difference in my opinion. Not only does it help you compress the coffee, but it also assists you in achieving a consist tamp motion. So you should always opt for a nice heavy tamper - the experience is night and day when compared to your stock plastic one. Calibrated tampers have a spring resistant mechanism between the tamper base and the handle. The theory behind this is to force everyone in a cafe to exert the same pressure when tamping coffee. 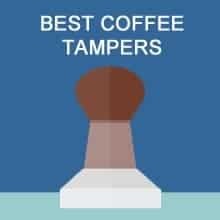 But are they better than normal analogue tampers? Not necessarily. As a good heavy tamper used by competent baristas will achieve the same results, plus you don't see any of the top baristas at the world coffee ﻿championships using calibrated tamps. However there are situations where a calibrated tamper may be a better fit for you compared to normal tampers. 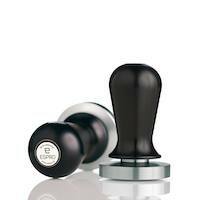 The Espro calibrated tamper is one of the original spring tampers popular with cafe owners. They come in both flat and convex style. For example if you own a cafe with several baristas tending to a espresso machine throughout the day, a calibrated tamper will help your team achieve uniformity in their tamping technique. This means less grind adjustments and more coffee being sold to customers, rather than being wasted trying to adjust the coffee grind between baristas. That sums up my best coffee tamper guide. If you have any questions about tampers in general or anything coffee relate, post a comment below and I'll get back to you.